We in the Rag-NERD-rok Crew have elected to participate in the massive play-test of the newest release of Dungeons and Dragons, D&D Next! Join us, along with special guest and veteran D&D player Derek, for an in-depth discussion of the new version of the classic role-playing game, its strengths, weaknesses and peculiarities. Later, we touch on this year’s E3 in another 10 in 10 segment, and Will stops by to read us his children’s story, Paul the Adventurer. It’s a fun-filled, orc-slaying, dungeon-looting episode, so grab your dice and pray to Pelor that you roll 20s! Meyer introduces the show with his customary self-assurance, and the rest of us do our best to keep him from scuttling the Good Ship Rag-NERD-rok. We also introduce our special guest, veteran D&D player and friend of the Rag-NERD-rok Crew, Derek Muterspaw. 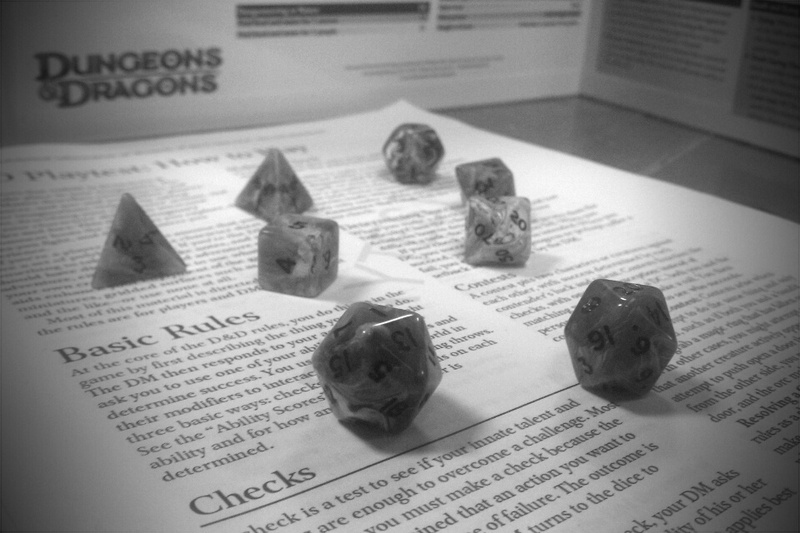 We put our role-playing chops to the test in the D&D Next Playtest! In the first part of our discussion, we talk about our past experiences playing Dungeons and Dragons, along with the play-test module and characters. We touch on the Next edition’s character backgrounds and themes, as well as its simplified mechanics. All six of us then give our final thoughts about the play-test, as well as a brief review. When a young man named Paul sets off on a quest to become the world’s greatest adventurer, he realizes early on that he has a lot to learn. Along the way, he encounters greedy colleagues, sketchy art collectors, daring pirates and deadly milkshakes. As Paul explores forgotten castles and ancient ruins, he finds many hidden treasures, but his most important discovery of all is the power of friendship. In the final moments of our lives before Meyer drives our airship into the ocean, we wrap things up with the usual schtick. If you would like to participate in the discussion about D&D Next, give us your thoughts on this year’s E3, or tell us how much you loved Will’s story, you can Like us on Facebook, follow us on Twitter, send us an email, call us at (516) 362 – NERD , or leave your comments below. Sound effects courtesy of uair01, Caro Animations, and adcbicycle of Freesound.org.